I can’t believe that I am standing here, not as a student but as having graduated from my school and in few hours I will be thinking about the next path in my life. In my childhood, when I was looking at the ”garaduating” students, I was always thinking, that this is their most happy moment in their lifes. Now, I am one of the graduates, I have a smile on my face and tears in heart. School is over. My nearest ones beside me, thats why it’s warm in my heart, knowing that there are people who share your joy together with you. We met the new day, the new light, now we are adults, and we choose our path. 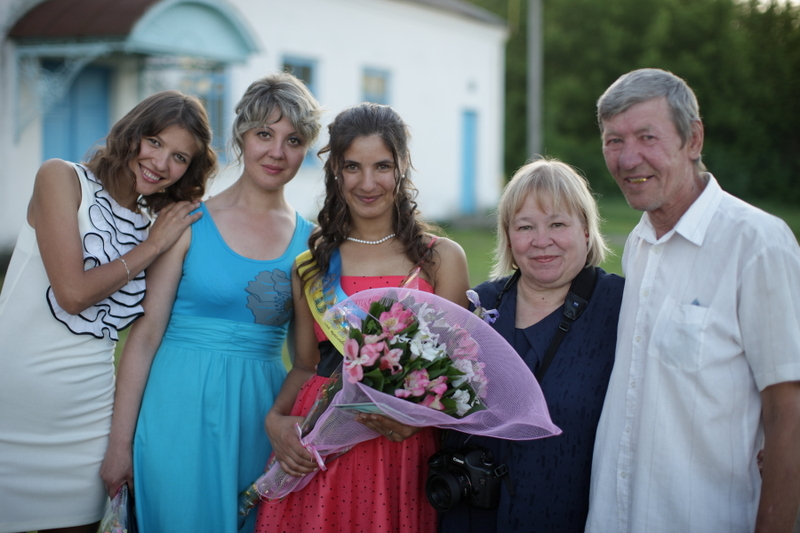 Having been a sponsor of Maria for nearly 2 years it was a privilege to have been invited by her to her graduation from school. It is one of the biggest moments in a Ukrainians life and is taken very seriously. The Graduation ceremony takes place in the evening and is very formal and rehearsed. The Graduates take centre stage in a ceremony that is clearly steeped in tradition. They dance, recite poems, praise their teachers and give flowers and bread to their parents. He teachers and dignitaries make passionate speeches and the graduates are presented with their certificates. Afterwards many formal photographs are taken much like a wedding and then everyone goes off for an evening of feasting. Tradition dictates that the graduates get up to meet the first dawn of their new lives and dream of a successful future. It was a moving display of fellowship from young people who have spent most of their lives together. For my part it was uplifting to see Maria, who’s path in life has not been easy , achieve this milestone and look so beautiful and adult. Having her family join in the celebration was moving for all of us. Maria made everyone proud of her.